Unfortunately, domestic abuse remains a serious problem in Colorado. According to the latest data provided by the National Coalition Against Domestic Violence (NCADV), approximately 16,700 domestic violence reports are filed with law enforcement in the state each year. Sadly, the true extent of the domestic violence problem is undoubtedly far higher than the official law enforcement numbers show — not only are most domestic violence cases never actually prosecuted, the vast majority of the victims never file a formal report at all. Here, our dedicated Fort Collins divorce attorneys offer an overview of some of the warning signs of domestic abuse. In addition, we highlight three important tips that friends and family members should keep in mind if they want to help. Any form of physical violence. If you see actual injuries or other signs of physical abuse, you need to take immediate action. Of course, physical abuse can be covered up. Loved ones who suspect a problem should watch for the other warning signs of domestic violence as well. If you suspect domestic violence, you need to follow up on the issue. It is common to have credible suspicions without actually being entirely sure as to what is happening. The victim may even deny the abuse, or they may downplay the problem. This does not mean that you should let it go: You should always keep your eye on the situation and be ready to take action. Dealing with domestic violence is incredibly challenging. On top of the terrible emotional issues, there are often complex logistical matters that must be resolved before a victim can get the help that they deserve. If you want to help a loved one, you must focus on assisting them in creating a workable safety plan. This includes everything from getting them to a safe location to sleep to making sure they have transportation and protection for their kids. You should always be prepared to seek professional guidance. You do not have to go through this on your own. One of the best starting points is the National Domestic Violence Hotline. For immediate assistance, you can call 1-800-799-SAFE. Free domestic abuse help is available 24/7/365. 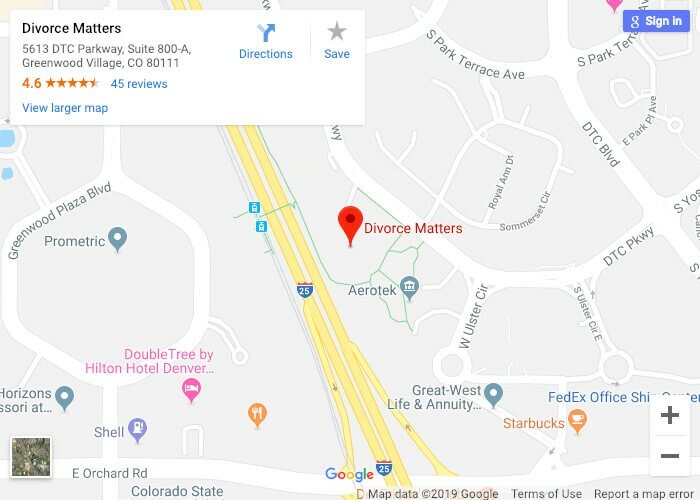 At Divorce Matters, our compassionate Fort Collins domestic violence attorneys are committed advocates for our clients. We understand that each case is unique and we offer every person the fully individualized legal guidance that they need and deserve. To arrange a fully private consultation, please do not hesitate to contact our legal team at (720) 580-6745. With offices in Lakewood, Greenwood Village, and Fort Collins, we serve clients in metro Denver, the Front Range, and throughout the state of Colorado.